Join us for an evening of elegant dining for A Sophisticated Palette. 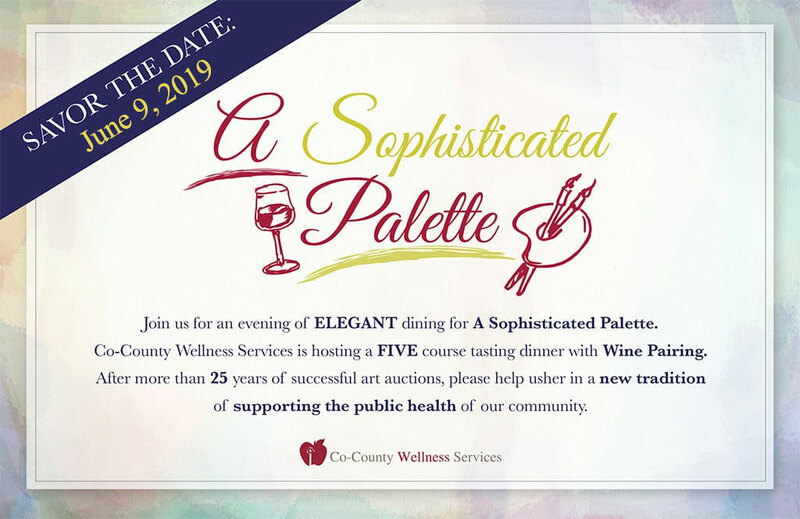 Co-County Wellness Services is hosting a five course tasting dinner with wine pairing. After more than 25 years of successful art auctions, please help usher in a new tradition of supporting the public health of our community. Please join us for an evening at the Stirling on June 9, 2018. Hors d’oeuvres and open bar with top shelf cocktails followed by a five course tasting menu, live music and more. If you are interested in attending this event. please contact us for an invitation.